We just got back from our recent trip in Colorado, what an adventure! We started with Kyle and Linsey’s engagement photos in the mountains at Sapphire Point overlooking Dillon, CO. (future blog to come from this). After our shoot we were off to the city to visit our friends in Denver where we roamed the city and set our itinerary for the Rockies and Emerald Lake. Here is a quick peak at our trip, along with some of our must see places when visiting Denver, Colorado. Rino Art District is located just north of downtown Denver, RiNo includes a remarkable concentration of creative businesses, including architects, art galleries, designers, furniture makers, illustrators, painters, media artists, photographers, sculptors and an array of studio spaces. RiNo is "Where Art Is Made" in Denver and you can always finds something new and exciting to check out around the neighborhood. Below are some of our favorite places to eat, grab drinks and take in the scenery. Barcelona Wine Bar – Wow, woww, wowww! Possibly the best food we have had in our lives. The tapas (shared plates) here are incredible and are great portion sizes to share with a group and are to die for. The sautéed mushrooms and steak were by far our favorite to go along with the pan of paella and wine! 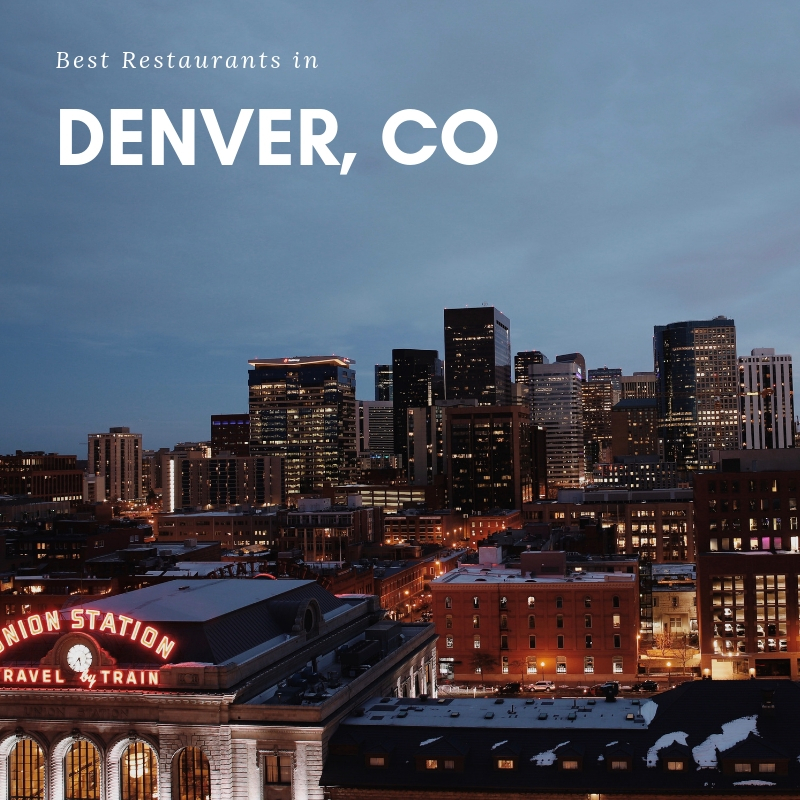 Make sure to put in a reservation in advance as this place is extremely busy and one of the best restaurants in Denver. Lustre Pearl – Located in the heart of Rino district, stroll through the alley down the side and view all of the paintings and portraits and enjoy one of the best breweries in Denver. Barcode – This was our first stop of the night. The scene they are going for is a modern dive bar which they nailed perfectly. Red couches along the back of the bar, good bartenders and good music. We went here around 7:30 before heading to dinner and going to other bars and were able to grab a seat and talk which was great since it wasn’t to loud. Odell’s – Two story brewery with amazing beer and an outside patio with tons of games to play and enjoy the day. They also feature live music/performance space, and a separate rooftop patio. City Restaurants – If you are in the city just a mile or two away from Rino make sure to check out these restaurants. Tupelo Honey Southern Kitchen & Bar – Searching for happy hour? Look no further, starting at 3:00 they’re crispy chicken tacos or slow roasted pork tacos are $2! Not a fan of tacos? No worries, they’re burgers are a wommping $5 with $2.50 off craft beers. Definitely make sure to check this place out. Syrup – Hands down best breakfast in town! Fried chicken sliders in between waffles... sold! The owner, Tim Doherty, is a Milwaukee native opened his own pub, but the late night hours were turning his hair gray, so he chose to open a breakfast joint instead. Harking back to his Midwest roots, with waffles smothered in sautéed fruit, melted cheese on most everything, and friendly, personable, down home service, Tim created Syrup – a contemporary take on the classic pancake house.